The era of Next Gen the 5G smartphones is expected to be established in Mobile World Congress (MWC). According to a Latest report, Apple is going to join the 5G community in 2020. The Smartphone manufacturers like Xiaomi, Oppo and Huawei are expected to get support 5G first because Qualcomm had announced its future 5G chipsets. 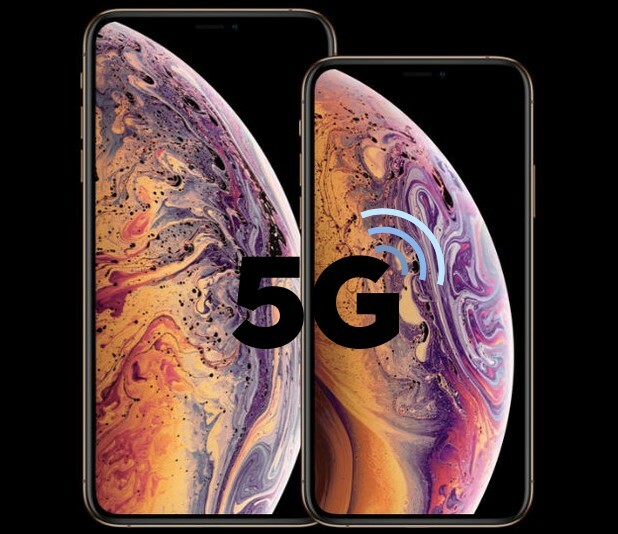 A report by FastCompany say the Intel 8161 5G modem chip will be used to provide the 5G connectivity to the iPhones. It is said that Apple’s 5G iPhone will come to market in 2020. In 2020 Intel 8161 5G modem chip will be implemented in iPhones and it is also believed that Intel’s 10nm process will be used as to increase speed and efficiency. The report also says that Intel had already begun the testing of its 5G modem chip under a ancestor 8060 chip. Companies like Oppo, LG, Samsung, Huawei, Lenovo, and Sony have all confirmed that 5G handsets are on the slate for some point during 2019. As FastCompany source says, Apple has been unhappy with Intel recently. The most probable reason relates to the challenge of solving heat dissipation issues caused due to the 8060 modem chip. Apple had already uttered the manufacturing of new 5G chips with another chipset maker – MediaTek. However, this is could also be a backup plan for Apple if anything doesn’t go well. We are much optimistic to see the first 5G iPhone by 2020. Stay tuned with Alloftop for more! Previous Previous post: All you need to know about 5G Technology Coming with 10 Gbps Max Speeds!